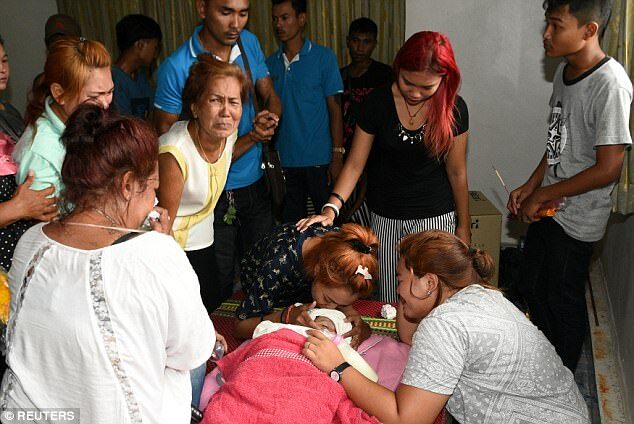 A Thai spokesman on Facebook Live reported the murder of his 11-month-old daughter and later his suicide, Thai officials said on Tuesday, adding to pressure for the social network to contain such images. A Facebook spokeswoman told Efe that the video was deleted from the social network despite the fact that it took the app’s developers around 24 hours and the images have been seen hundreds of thousands of times by people around the world. “This is a horrible incident and our hearts are with the victim’s family, there is no place for acts like these on Facebook,” said a spokeswoman for the social network, which has more than 1 billion users. Phuket Police said Wuttisan Wongtalay, 20, filmed in two videos that posted on Facebook the death of his daughter, hanged in a hotel, and then do the same. One of the videos shows how Wongtalay launches his daughter from the roof of a hotel in Phuket and then regains his body. Relatives of the victims witnessed the transmission of the crime and warned the local police, who found the dead bodies of the father and the girl. Thai authorities believe his father believed the girl’s mother had a lover. The first video was seen 112 thousand times, while the second video had 258 thousand views. Thai law enforcement officials said they had warned Facebook to delete the videos, which were also posted on Youtube by other Internet users, from where they were deleted 15 minutes after users denounced the content as inappropriate. This fact puts pressure on Facebook to impose measures to detect and erase as fast as possible violent content or crime after a man killed a pedestrian in Cleveland (Ohio) two weeks ago and posted the video on the famous social network.